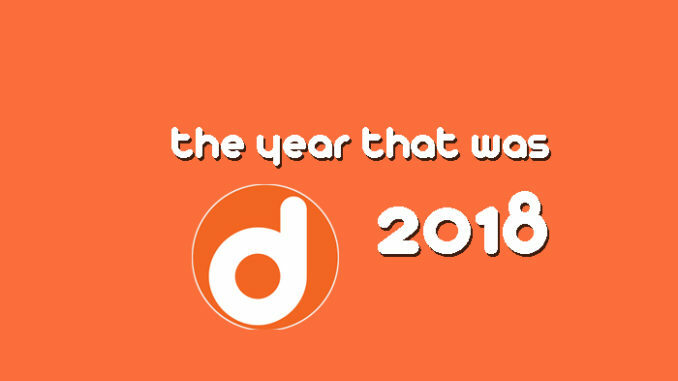 This week marks my one year anniversary of becoming editor-in-chief here at doddleNEWS, and the last twelve months has been quite a ride. 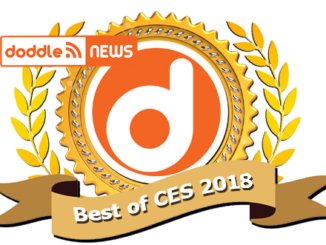 There was a lot of great technology in 2018 that came our for filmmakers, and some news that will greatly affect our future in the industry. Let’s take a trip down memory lane. December 2017: FCC Votes to Kill Net Neutrality. In a party party line vote 3-2, the FCC voted to return effective control of the internet back to the ISPs. This prompted fears of higher costs and an internet universe that looked more like cable, with tiered access to various websites, streaming video, and the like. Though I was equally concerned as most about the effects of removing Net Neutrality, I’m starting to wonder if those worries have proven to be overblown. So far, those fears haven’t materialized. Still, that doesn’t mean we shouldn’t keep a watchful eye on where things go from here. Net Neutrality is winding its way through the courts, and even Congress is having its say. So the story isn’t over, not by a long shot. 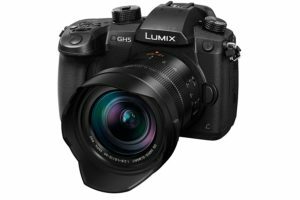 January 2018: Panasonic Announces the GH5S . This next generation micro four thirds mirrorless camera, brought about some noticeable improvements including 4K 10-bit 4:2:2 internal recording. And no recording limit outside of the size of your video card. Finally. 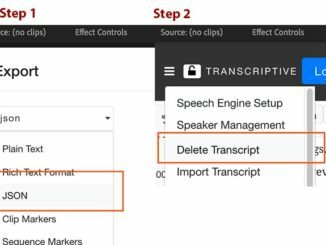 February 2018: Adobe Kills Story Screenwriting App. Though Adobe continues to add new features to Creative Cloud with a regular schedule of updates, it came as a surprise when Adobe killed Story, saying it has “virtually no connection to other products in (Creative Cloud).” But the real reason may have been that it was rarely used by Creative Cloud subscribers. We also learned in February that the popularity of Mirrorless cameras in 2017 powered an upward trend in camera sales for the first time in a few years. 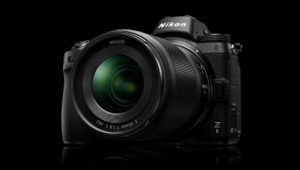 Those will portend even more mirrorless news we would have in the fall. 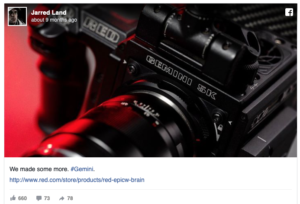 March 2018: RED Makes More Gemini Low Light Cameras. After custom building a camera for NASA that RED’s Jarred Land called “a vampire for light,” RED sold the remaining prototypes to eager shooters in a matter of minutes. This led the company to conclude there was a market for Gemini, and as such, it was added to the camera line-up, which RED also streamlined to encompass the DSMC2/IPP2 architecture only. April 2018: NAB. April was dominated by coverage of what I tend to call Woodstock for Film Geeks – NAB. 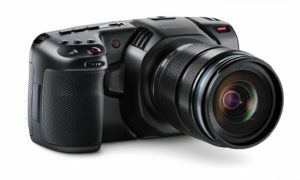 Camera wise, the big news was Blackmagic introducing a long awaited 4K Pocket Cinema Camera, that many call the best entry level camera platform on the market. BMD also announced that with version 15 of DaVinci Resolve, the powerful editing/color correction suite would add visual effects to its quiver with incorporation of many features from Fusion. 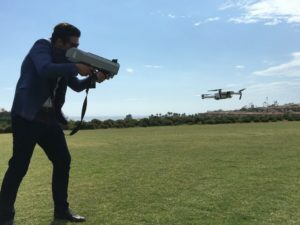 The other noticeable story was what wasn’t at NAB, and that was drones (aside from DJI that is). While it’s obvious that the drone/camera company has won the UAV wars, the absence of any competitor plus the ever growing regulations against flying drones in the city, may begin to spell doom for this growth industry. Drone killer technology to force wayward drones to land. May 2018: Big Brother and Drones. May was kind of a quiet month, as everyone was recovering from their Vegas NAB stupor. But one story that did stand out for me was the news that the US Department of Homeland Security was making plans to “identify, track and mitigate” all drones. Ina edition, the government agency has been granted authority to shoot down any drone it deems to be a threat. And not only DHS, but ANY federal government agency can now do the same. So don’t try fly your Mavic around a postman. The Simpson’s predict another one. June 2018: Disney vs. Comcast. 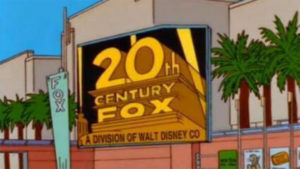 The big story of the summer was the short lived bidding war between Disney and Comcast for the takeover of 20th Century Fox. While it seemed a done deal that the Mouse House would take over the studio for a tidy sum of $54 billion, Comcast swooped in with a rival bid of $65 billion that upped the ante. Eventually, Disney would win the war with an astronomical bid of $81 Billion in stock, cash and assumption of debt, more than four times the cost of landing on the moon. The merger was quickly approved the next month. July 2018: For me, July is all about one thing. San Diego Comic-Con. The four day pop culture fest where fans get to see exclusive footage and previews, and hear great stories from the cast of their favorite movies and TV shows. And then there’s the costumes! 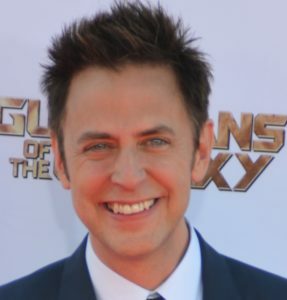 The biggest news, at SDCC, though, was that Disney had fired Guardians of the Galaxy director James Gunn for controversial tweets the helmer had posted nearly ten years ago. But that wasn’t the only news, as Adobe announced the beginnings of what could be the convergence of desktop and mobile operating systems with news that many of their Creative Cloud apps will be ported to iOS. First on the list was Adobe Photoshop, but also just a few weeks earlier, Adobe announced that Premiere Rush, a mobile video editing app, would also be coming out. August 2018: DJI All Alone in Drones. DJI, now all alone at the top of the heap in the drone market, announced two MavicPro 2 drones, the Mavic Pro 2 Zoom, with a 24-48x optical zoom lens, and the Mavic Pro 2 with a 1″ Hasselblad sensor and 10-bit HDR recording. 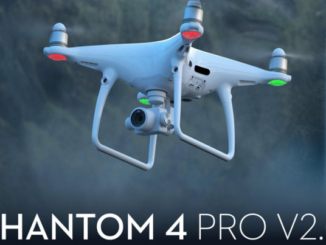 And while both are stacked with features, many drone fans are annoyed that they’ll have to buy both to get what should be in one drone. September/October 2018: Through the Mirror(less). Nikon actually kicked things off early with their Z6 and Z7 full frame mirrorless announcement in the last week of August. But September/October roared into view with Canon’s EOS-R and Panasonic’s S1. Not to be outdone, GoPro got people looking again with their new Hero 7 and its new HyperSmooth feature, which essentially replaces any need for a 3 axis gimbal while shooting action. 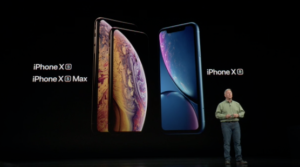 And Apple stayed in the headlines with the new iPhone XS, XS Max and XR mobile phones. But while the next generation iPhone is a worthy dot upgrade, it’s really not going to do much for the current generation of mobile filmmakers. The new macMini, on the other hand, could possibly. November 2018: Excelsior’s End. 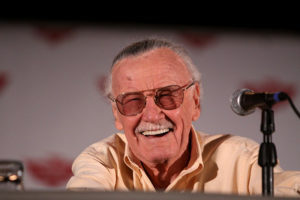 The biggest news of November was the loss of Stan Lee at 95. You don’t have to be a fan of comic books to appreciate the tsunami effect of the legacy of the creator of Marvel Comics. We all looked forward to his cameos in every Marvel film, and it stings to know he won’t make it to the end. Or will he? Meanwhile, Disney got into the news again with the announcement of two new Star Wars Live action TV series’ for their new Disney+ streaming service. 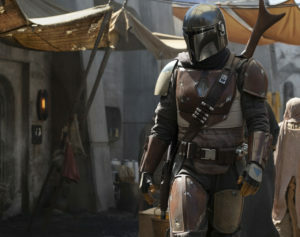 The Mandalorian, starring Pedro Pascal and produced by Jon Favreau, and a Rogue One prequel following the spying adventures of Cassian Andor, with actor Diego Luna reprising his role. I really liked Rogue One, it’s like my third favorite Star Wars film. So I can’t wait. December 2018: Apple’s Apocalypse. 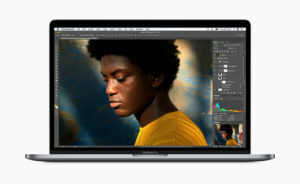 Perhaps the biggest story of the year came near it’s end, with Apple announcing it would ending support of 32 bit legacy media codecs in future versions of macOS after Mojave. Moreover, while the list of codecs that Apple will be abandoning is pretty comprehensive, they are giving professionals plenty of warning to make plans for converting their legacy media projects and to look to the future. That’s 2018 in a nutshell. What does 2019 have in store? Well, CES is about 10 days away, so we’ll be hitting the ground running!